The instances of torture of Palestinian prisoners by Israeli services soared sharply in the second half of 2014, after the killings of three Jewish teenagers in June, says data from military courts and anti-torture bodies, collected by Haaretz. All in all, 51 cases of torture were reported in the second half of last year, according to an attorney representing those accused of security offences. Thedatawas obtained by Haaretz from military courts, and the Public Committee Against Torture in Israel. “In years past there were a few rare cases. But something has changed,” the attorney said. Twenty-three Palestinians sent a number of complaints of torture they had suffered in 2014 by Shin Bet, Israel's internal security service. Each of the plaintiffs said they experienced several methods of torture. In the first part of 2014, eight instances of torture were reported. They included beatings and sleep deprivations. However, the second half of the year saw ‘darker’ methods of interrogation, which included tying up suspects in what is called “banana” and the “frog” positions. Of fifty-one instances of torture, there were 19 complaints of sleep deprivation, 18 of tying, 12 of beatings and 2 of shaking. 2014 saw 59 torture complaints, which is a rise, compared to 2013 (16 instances of violent means), 2012 (30), and 2011 (27). 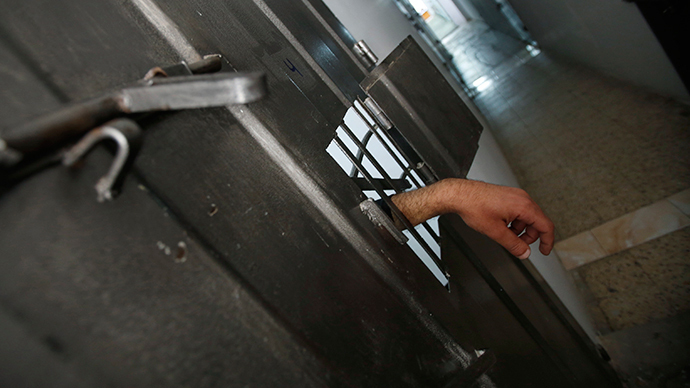 Thousands of Palestinian detainees were tortured by Israelis up to 1999, a year when the High Court of Justice prohibited the systematic use of torture. However, it left a small ‘window’ for Israeli services: an interrogator could claim that there was an urgent need to flout the law. The rules when this “need” can be implemented are not open to the public. Different types of torture are mentioned in the Shin Bet documents, officials in the military court who saw them told Haaretz. They include blindfolding, beating, slapping, forcing a suspect to stand for hours with hands at his sides and tying people up in the “banana” position. All these methods are less brutal than covering the head with a sack, tying in the “frog” position and sleep deprivation, say the documents. Haaretz draws an example of Mohammed Hatib, a childhood friend of Marwan Kawasme, one the two main suspects in the killings of three Jewish teens in June 2014. Hatib, a Hamas activist, was interrogated by Shin Bet. At first, he denied any involvement in the murders, but then as his questioning quickly turned into torture, he confessed being a lookout for Kawasme and his accomplice Abu-Aisha on the night of the kidnapping. “The High Court recognized the need in cases of a ‘ticking bomb.’” But no one knows what level of suspicion must be present to use “urgent need” as a justification,” Mohammad Hatib’s attorney, Fadi Kawasme said. “After the abduction, Shin Bet used the necessity [clause] in order to investigate people just because they were friends of the attackers,” he added. All the detainees interrogated by the service “receive all humanitarian rights according to international conventions to which Israel is a signatory and according to Israeli law,” the agency added.